This article was originally written for the October 2011 issue of Cafe, the Women of the ELCA’s online magazine (v9.2), which can be found online here. Growing up the son of a Lutheran church musician, I was practically a P.K. (preacher’s kid). I spent almost as many nights a week at church as I did at home. I was used to hearing adults predict that one day I’d be a pastor, but I never took them seriously. I figured they were projecting my father’s vocation in the church onto me, and it was practically my duty as a rebellious youth to reject that role. It was a different story altogether though when my friend, Bryce, sat me down for breakfast at a South Minneapolis café on New Year’s Day, 1998. Bryce and I had been best friends since college, a friendship built as much around our differences as our similarities. Among other differences, Bryce was a self-proclaimed atheist, quoting Marx’s over-used maxim about religion being the opiate of the masses as he tried to reconcile how an otherwise intelligent person like me could throw my lot in with organized religion. Still, as we sat across the table from one another that first day of January so many years ago, it was Bryce who told me that it was time for me to go to seminary. I had great co-workers and great friends, I loved my job and I loved living in the Twin Cities… and I wasn’t happy. I was driving myself crazy trying to find other ways to fulfill the call to parish ministry I’d been resisting for years, yet if any one of the good church people I’d known my whole life had said to me on that morning that it was time for me to go to seminary I’d have dismissed them like I’d been doing for years. But it wasn’t the good church people telling me to go to seminary. It was my friend, Bryce, setting aside his own prejudices about religion, and speaking to me out of the depth of his knowledge of and love for me. “Erik, this is who you are and what you feel led to do with your life, and it’s time for you to accept that and go for it,” he told me. He was, I think, the only person in my life at the time I could have heard that message from, precisely because I knew he had nothing to gain, no self-interest at stake. If anything, he was advocating a course of action that would eventually put miles of distance between us and change the nature of our friendship. And as soon as I heard the words pass his lips I could recognize them as the truth. In the April, 2004 issue of Interpretation: A Journal of Bible and Theology, my seminary advisor and Professor of New Testament, Dr. Gail O’Day, published an article titled, “Jesus as Friend in the Gospel of John.” In that article, she comments on the fact that, as can be seen from the quotes at the top of this article, the idea that friendship finds its ultimate expression in the act of giving up one’s life for one’s friends did not originate with Jesus. To the contrary, it appears that the gospel of John, and the New Testament in general, uses language and imagery about friendship drawn from the larger Greco-Roman context to lend credibility to its message. People didn’t believe Jesus’ message in spite of its radical call for self-sacrifice; in part, they found it credible because it echoed wisdom already current in the culture. I know that my friend Bryce didn’t actually lay down his life for me. What he did lay down though was any sense that his truth was everyone’s truth. In today’s politically and religiously polarized world, that’s actually quite a lot, and something religious people could stand to learn from. Perhaps more though, he lay down the piece of his life that included him and me getting to share breakfast and a cup of coffee at a neighborhood café, intimate friendship on a regular basis, and encouraged me to pursue the life to which God was calling me. Of course he would never have used that language. Laying down one’s life for one’s friend takes practice. We practice speaking difficult truths to one another. We practice sacrificing our own interests for the interests of others. We do this in our homes, with our families and our friends, and then perhaps our neighbors. We discover that laying down one’s life for one’s friend is an ethos that informs everything from how we share the resources of this world to how we treat those who have wronged us. Becoming bold in our friendships allows us to become bold with our lives. Thank God for bold friends. Sometime in the last few months the number of “friends” I have on Facebook rose above one thousand. It took a few years to get there. In the early years of my love affair with social networking I was somewhat more selective in whose “friend requests” I approved. I wasn’t sure I wanted to be in touch with absolutely everyone with whom I’d gone to high school, college and seminary. Then, as this new phenomenon took root in our culture and Facebook became the preferred method of communication for many of the folks in both my personal and professional spheres, I found myself receiving new requests after every dinner party, meeting or event. I have to be honest and say that I have no intention, nor would I be willing, to lay down my life for most of these people. In truth, it’s hard for me to imagine laying down my life for even the closest of friends. Life is simply too precious. Beyond the issue of self-sacrifice though, I’m curious about how the conflation of friendship with social networking has changed how we imagine and reflect on the meaning and value of friendship. Back in the mid-1990s (long before Facebook), a British psychologist, anthropologist and philosopher by the name of Robin Dunbar published a paper in which he asserted that the limit to the number of people with whom any one person can maintain stable relationships is about 150. The impetus for this research actually came from observation of non-human primates, such as chimpanzees and gorillas, who form and maintain social groups (“cliques”) important for status and survival among the larger groups of primates in which they live. They create these bonds by grooming one another, and the size of the networks they are able to create and maintain is directly related to the volume of their neocortex. In lay terms… the size of their brain. Using the correlation of brain size to social group size, Dunbar predicted that human social groupings should come out to about 150. He then surveyed the anthropological data, beginning with the earliest information we have about prehistoric societies of hunters and gatherers, and found that his prediction was borne out across time and space. Prehistoric farming villages, Roman battalions, early American settlements and small companies all broke at around 150. Perhaps even more fascinating though was the idea that came next. Recalling that non-human primates were only able to create and maintain these communities through extensive amounts of social grooming, Dunbar speculated that human language may have developed, in part, as a “cheap” form of social grooming. Compliments, declarations of love and respect, are faster and more efficient ways of connecting with each other than plucking the lice off of each other’s heads, freeing human beings up to collaborate on larger cultural projects, like civilization building. These ideas, less than twenty years old, have worked their way into such disparate fields as evolutionary biology, business management and software development. We ourselves are participating in a global experiment testing the applications of “Dunbar’s number” every time we log in to our online social networks and use language in the form of pokes, tweets, status updates, shared pictures and links, invitations to events, and the like. It seems as though we have found a way to take the innovations mass production applied to the automobile and the telephone a century ago and have transferred that approach to creating social networks. 21st century social grooming takes place on the assembly line of the newsfeed and the twitter stream. But is social grooming the same as friendship? It’s becoming more and more frequent that we hear people meeting for the first time remark, “I think we’re Facebook friends, aren’t we?” We understand that Facebook friends, or Twitter followers, or Google + circles aren’t the same as “real” friends. That being said, a lot of what goes on in our “real” friendships is still pretty much just the human equivalent of primate grooming. We tell others how great they look. We ask if they’ve lost weight or gotten some sun. We inquire about work and family life. We perform routine social maintenance operations on close friends and distant acquaintances alike. With our closest friends though, language is more than a cheap form of grooming. With our “real” friends we use language to take risks. We ask, “what are you doing” and “why?” We deliver difficult observations. We point out the gaps between the images people are constructing online, or by the water cooler, or in our churches, and how they are actually conducting their lives. Real friends take real risks with each other. In so doing they demonstrate deep affection, genuine concern and the willingness to invest some of their own hard won reserves of time or wisdom or money in those for whom they truly care. Bold friendship is the product of bold speech and bold action. That kind of communication requires time, trust and courage. It goes beyond simply broadcasting our daily activities and passing fancies. It makes space to listen for and keep track of the story behind the story. Most of all, bold friendship is willing to sacrifice the safety and convenience of “cheap” grooming (might we even say “cheap grace?”) to speak the truth in love to one another, even at potential cost to our own comfort and security. Who do you trust to tell you the truth about how you are living your life? How long have you known that person, or those people, and how did they earn your trust? In which of your friendships are you most invested? Do you take big risks with those who get the greatest share of your time and attention, or do you take fewer risks with those people? 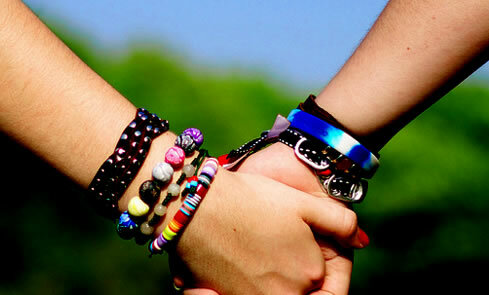 Have you ever spoken a hard truth to a close friend and lost the friendship as a result? If so, is that a decision you stand behind or one that you would do over? How do your deepest friendships equip you for fuller and more enriching relationships with those to whom you aren’t as close?